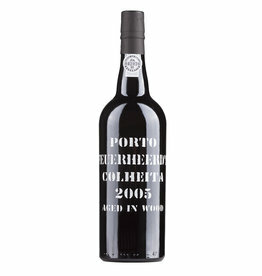 The Vintage Port is considered the top level of port production. 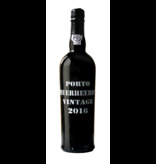 This is the only port style, that it is not ready to drink when released, it is made to mature years or even decades in the bottle to its peak. 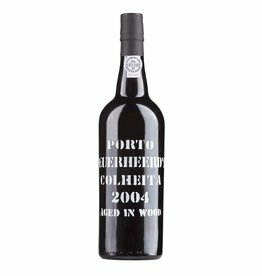 Vintage Port is bottled only in the best vintages. Feuerheerd's 2016 Vintage Port is produced of the varieties Touriga Franca (40%), Touriga Nacional (30%), Tinto Cão (10%) and 20% of a vineyards with a mixed set of old vines. It was stored in oak barrels for almost two years before being bottled in June 2018. 2016 is considered a great vintage with lush fruit and ripe tannins, which is very beautiful here, the wine is juicy and opulent, with powerful concentration and a long finish full of harmony. It will develop positively in the bottle for decades. Grape varieties: Touriga Nacional, Touriga Franca and Tinto Cão.